Building 429 is back better than ever with their fifth studio project Listen to the Sound. Featuring the blockbuster title track radio single and nine other contemporary rock tracks, Building 429 delivers an all-new project sure to have the listener putting the project on repeat and singing along in no time. The upbeat “Made For You” starts off Listen to the Sound on a very upbeat note as the choir and rock sound mix in the opening of the track. As the track progresses, we hear Jason’s unmistakable, enjoyable voice sing about how we were made for God, and is a prayer that He would take us as we are. Co-written by Jason Ingram, this song was perfect – especially the bridge, which acted as a total part two to the main part of the track, with chanting lyrics. “Right Beside You” is equally as upbeat, talking about how God promises to never leave us nor forsake us. Undoubtedly, having guest female singer Dawn Michele of Fireflight added a ton to this track, especially having her sing the second verse entirely by herself, and her harmony in the chorus was perfect as well. The creative “One Foot” was probably my favorite track from Listen to the Sound with awesome guitar acts and a very catchy melody. The encouraging lyrics are a bonus, speaking of how when we feel lost and not sure where to go, we can “put one foot in front of the other” and take one step at a time. The listener will do doubt find this a highlight, and will be singing along in no time. The radio single and title track follows next on a perfect note, offering hope to those who feel lost and “in over their head,” in this very enjoyable rock single: “Listen to the sound of hope that’s rising/ up over your old horizon/ listen to the sound/ listen to the sound…” I also really enjoyed the fill-ins of this radio single. “War Zone” speaks of the Spiritual battle we all face and how we often feel tired, but also encourages the listener to persevere: “My faith is worn/ and my hands are tired/ my heart is torn between the truth and the liar/ so I run, ‘cause I’m done and I need You/ You’re the One that will come to my rescue/ my flesh and bones are caught in a war zone.” I really enjoyed hearing regular as well as really low vocals from Jason Roy who definitely proved himself an able lead singer through this track. “Where I Belong” reminded me musically of Newsboys’ “Running to You” from their Born Again project, but it burst into a full chorus of choirs singing about how this world is not our home, and all we want is Jesus. 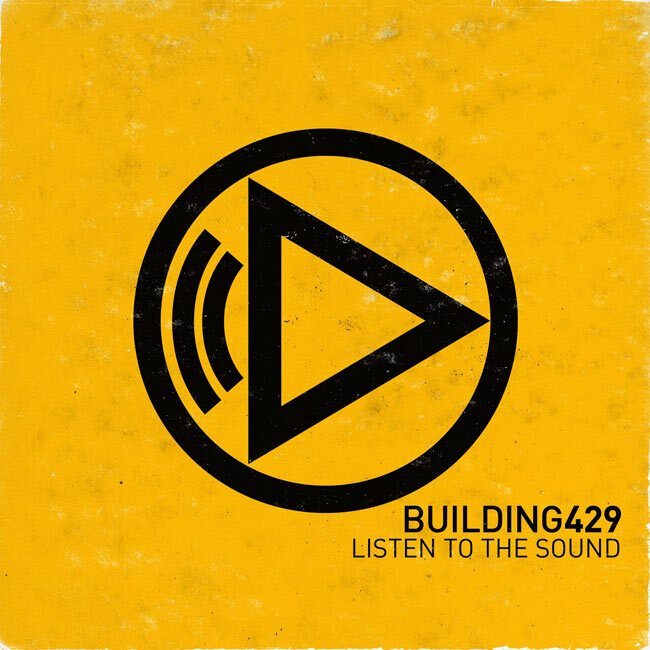 Listen to the Sound by Building 429 is a fantastic contemporary/rock album! I found myself singing along after one or two listens, and pressing play to hear this excellent project again and again. Fans of Fireflight will enjoy the appearance of Dawn Michele on “Right Beside You,” and long-time fans of Building 429 will enjoy the mix of the powerful worship tracks such as “Walls Are Coming Down,” and the deep, encouraging songs such as “Love Has Been Spoken” and “Listen to the Sound.” Check out this project today! Good album review I enjoyed it and I heard most of the album on the Bulding 429 official website. I haven't heard all of the songs yet but still most of them. I would say my favorites would be Made For You, Right Beside You, and Listen To The Sound.